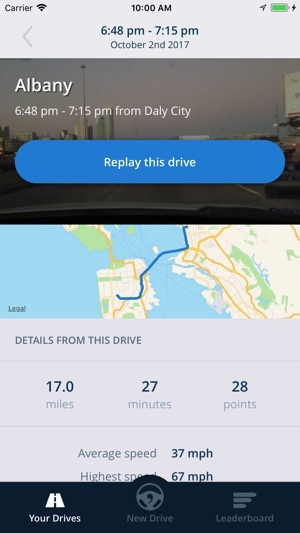 chffr is a cloud dash cam. 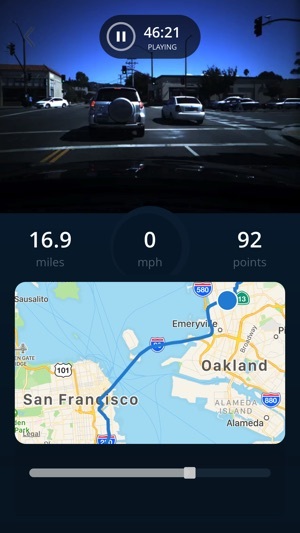 Collect data from your comma.ai panda OBD-II dongle and help improve comma.ai openpilot, free driver assistance software. Contribute to the over 3 million miles driven with chffr and claim your stake in the autonomous driving revolution. For each minute recorded with chffr, you earn 1 comma point. 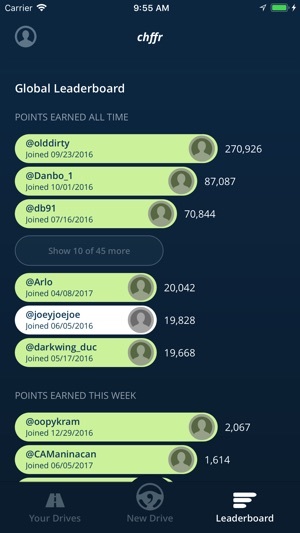 Point leaders receive early access to comma.ai technology and land a spot on the chffr leaderboard! We encourage drivers to mount their phones and start chffr before embarking on a trip. chffr automatically starts recording when you begin moving. 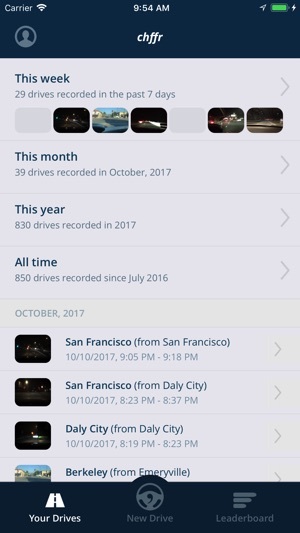 chffr conserves storage and data by saving your dash cam trips to the cloud when you are on WiFi. We recommend charging your phone while driving. Thanks for driving with chffr! Try testing your panda's connection upon pairing or in the account menu. This update includes stability improvements. Join the chffr community at comma.ai learn more. Some of the best work being done to enable all cars being more safer. Appreciate the hard work and effort to have a reliable app to control the systems of your car. It’s a Great world we live in now for a company to take on the auto industry just using your phone and OBD2 port of car. Keep up the great work! Clever app though. Very very simple to use and it doesn’t even require to save videos to your phone. Also, any way you can have different camera setting in the app for those people who have the 12 MP camera to record at 1080p 60fps? Thanks. When I try to scroll through previous drives to find a specific time in the drive, the video doesn’t keep up with the scroll bar. I could watch the entire drive to get to the point I am searching for but that takes forever. Please fix and will rate 5 stars.